These posts contain sermon audio/video from sermons starting in 2014. Last night I put in some work to usher “spring” into our home’s exterior. Once the garden was clean, I began spreading mulch over all the flower beds. Once again, I was amazed at what $3.18 per bag can accomplish! With this (now clean) canvas, my wife put flowers in hanging baskets and in pots by the front door. Suddenly, the front of our house had come alive . . . just in time for Easter! I really do love this time of year. While I was doing these tasks, my mind was thinking about bigger things. I was reflecting on this Holy Week of remembrances and celebrations — Good Friday and Easter Sunday. On Good Friday, we remember that Jesus came to “clean the garden” of our lives. On our own, we cannot grow even a “bush” of righteousness, but the weeds of sin blanket our lives. Jesus came to gather up all those sins, and the punishment those sins deserve, and have them die with Him on the cross. In an amazing transaction, not only are the wages of our sin pulled out from the ground of our life, but also the righteousness of God in Jesus is spread over our souls – hiding us in Him. Isn’t it amazing what grace can accomplish? Then on Easter Sunday, we celebrate the resurrection of Jesus from the dead. Jesus’ resurrection not only demonstrates His authority over death, but it also makes it possible for His fruit to blossom by the doors of our lives! On the clean canvas that His death provides, His resurrection flowers love, joy, peace, patience, kindness, goodness, faithfulness, gentleness, and self-control in our souls! Reflect on Jesus march to the cross where He laid His life down for you and me. Scripture reading, music, communion. No children’s ministry running — all join in this worship service. If you are able to join us at the 8:30 service, we would love to have you come join us at that time! Full children’s ministry and Adult groups running during the 9:45 and 11:00 services. Student Ministry (6th – 12th grade) meeting during the 9:45 hour. We will sing and celebrate the resurrection this day, and look at how Jesus has something to do with our past, our present, and our future. See you Sunday! 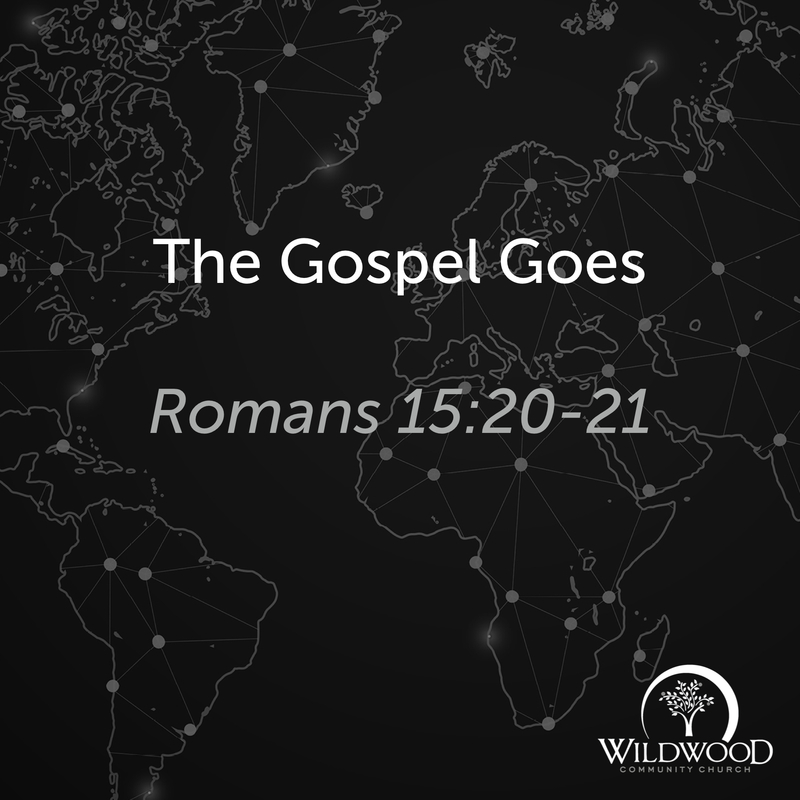 On Sunday, April 14, 2019, I preached a sermon on Matthew 21:1-11 at Wildwood Community Church. 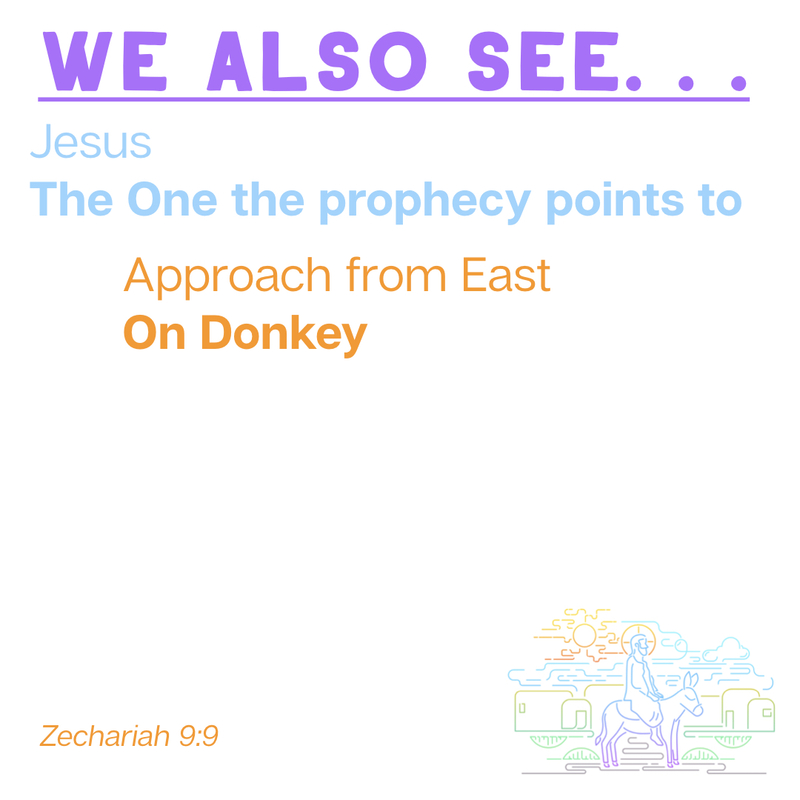 This message was on Palm Sunday. Below you will find the sermon audio to listen to, download, or share. To watch the Facebook Livestream, click here. On Sunday, April 14, 2019 at Wildwood Community Church, I preached a message for Palm Sunday. 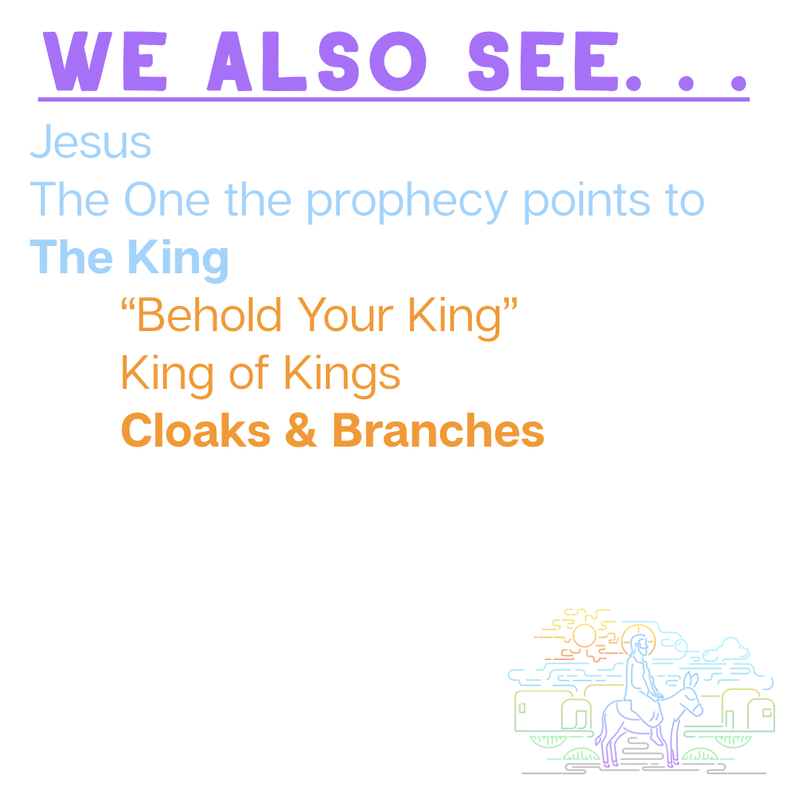 This message focused on Matthew 21:1-11. Below are a set of questions related to the message for personal reflection or group discussion. 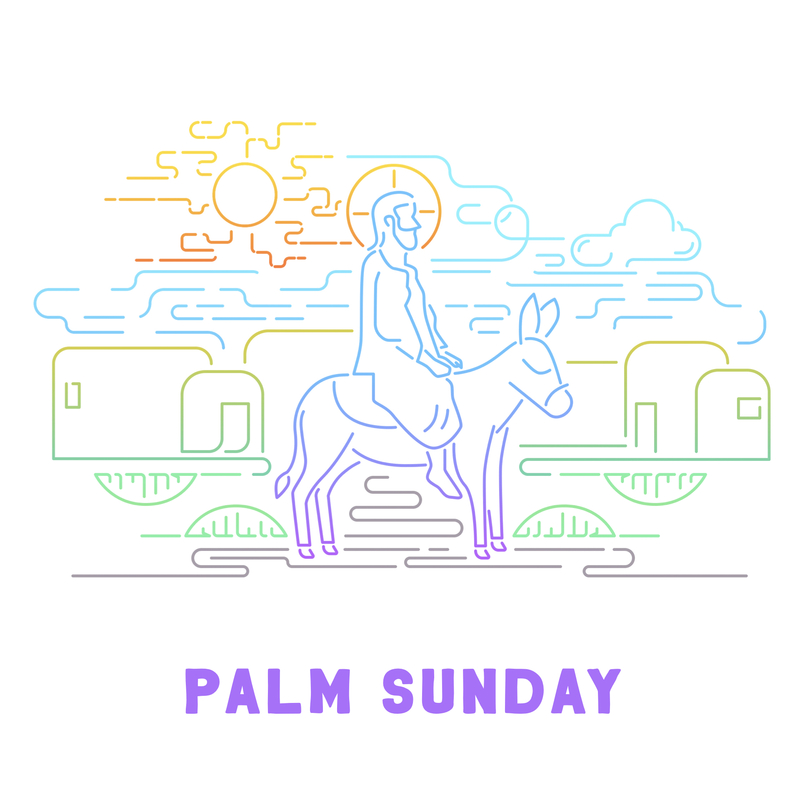 What are some of the most memorable things to you about Palm Sundays (or Easter weekends) that you have experienced in your life? 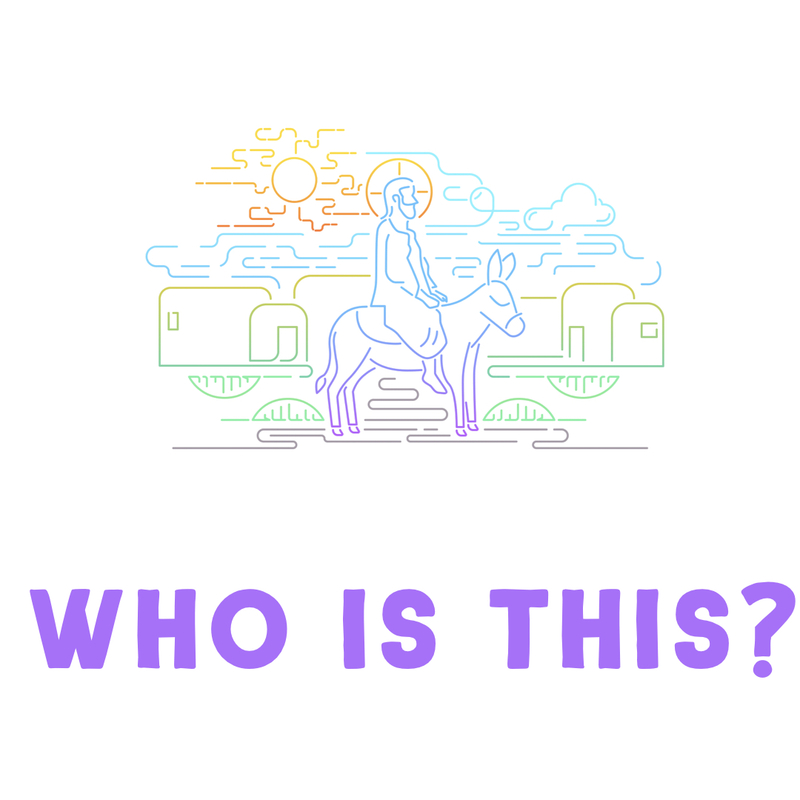 On the first Palm Sunday, the people of Jerusalem were most intrigued by the PERSON at the center of it all – Jesus Christ. 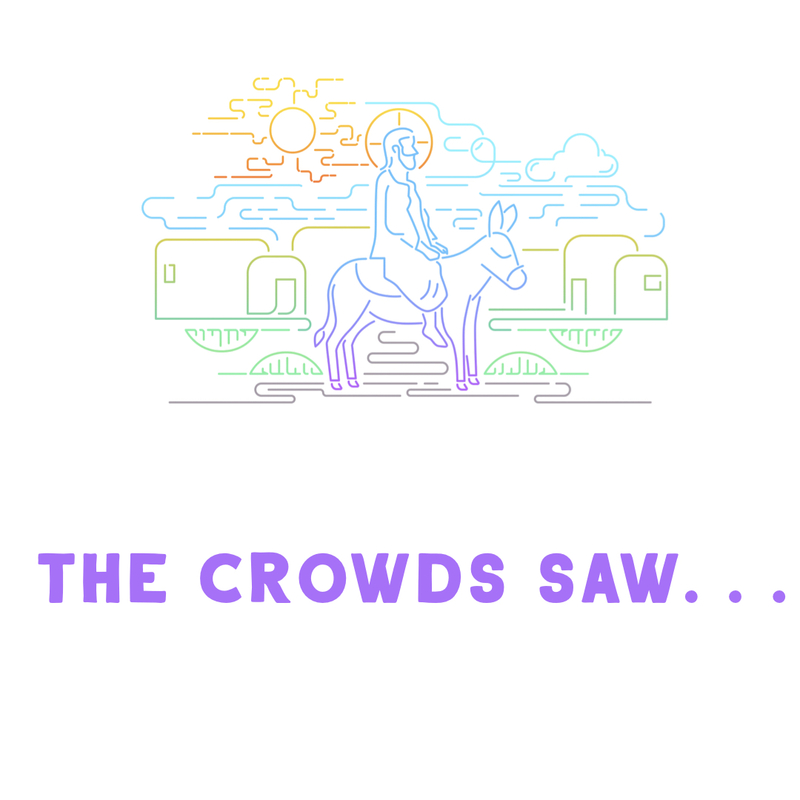 Matthew 21:11 tells us what the crowds in Jerusalem were thinking about Jesus on that first Palm Sunday. 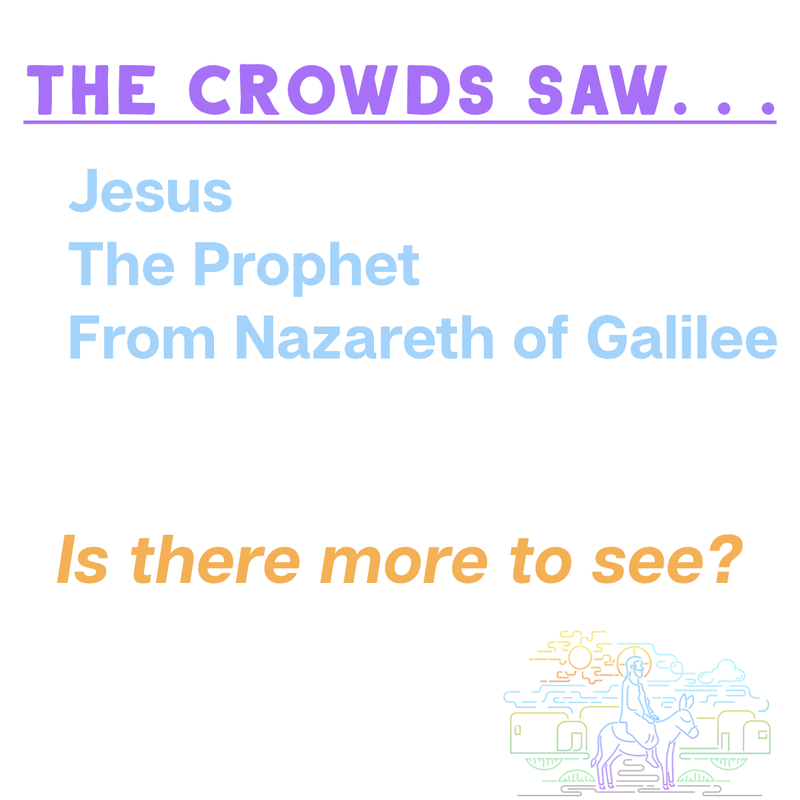 What stands out to you from their description (as well as the exposition of their descriptions from the message today)? 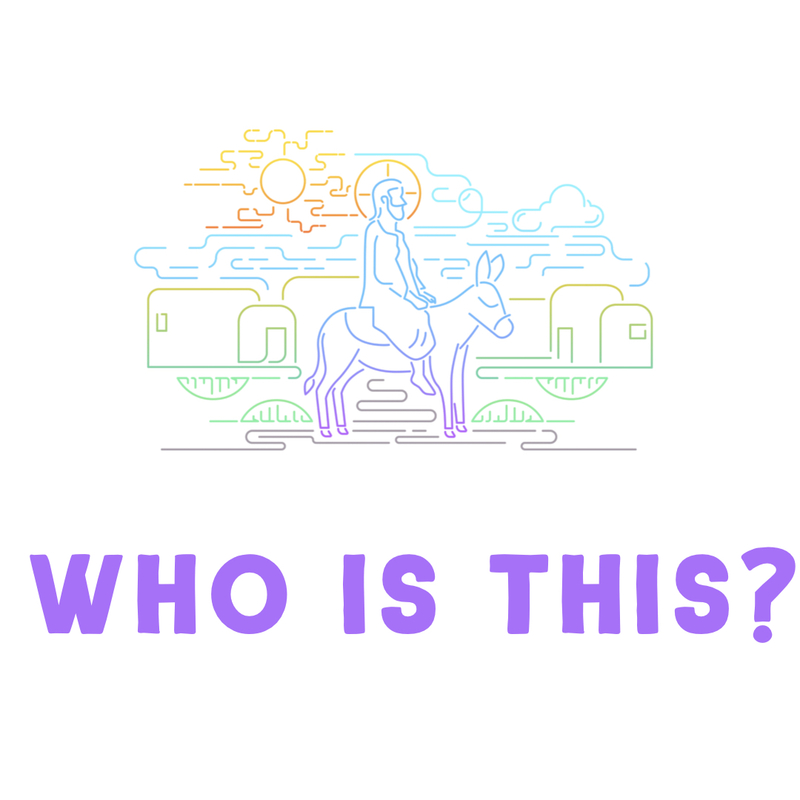 In what ways do you hear the same descriptions of Jesus TODAY, 2,000 years later? Jesus is more than just a prophet from Nazareth, as we were reminded today. 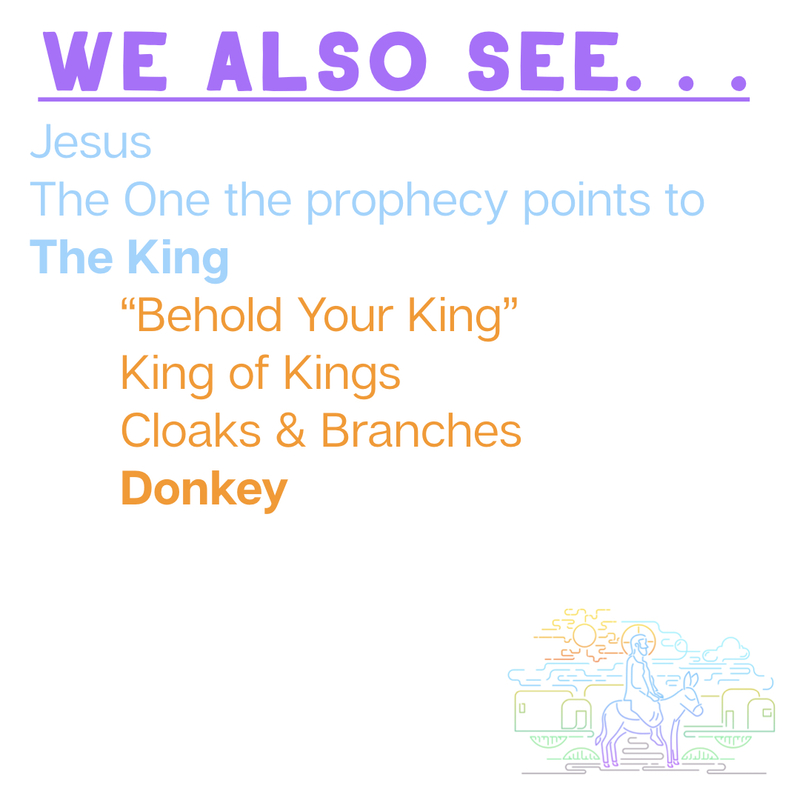 What are some of the prophecies you see Jesus fulfilling as He entered Jerusalem on Palm Sunday? 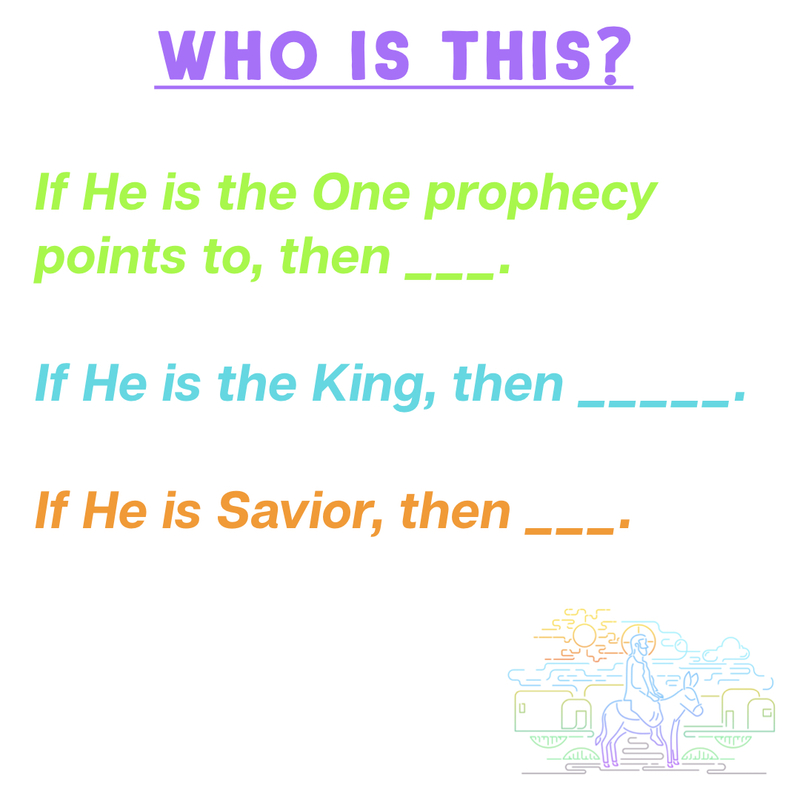 How do these fulfillments challenge you to rethink or add to your understanding of who Jesus is? 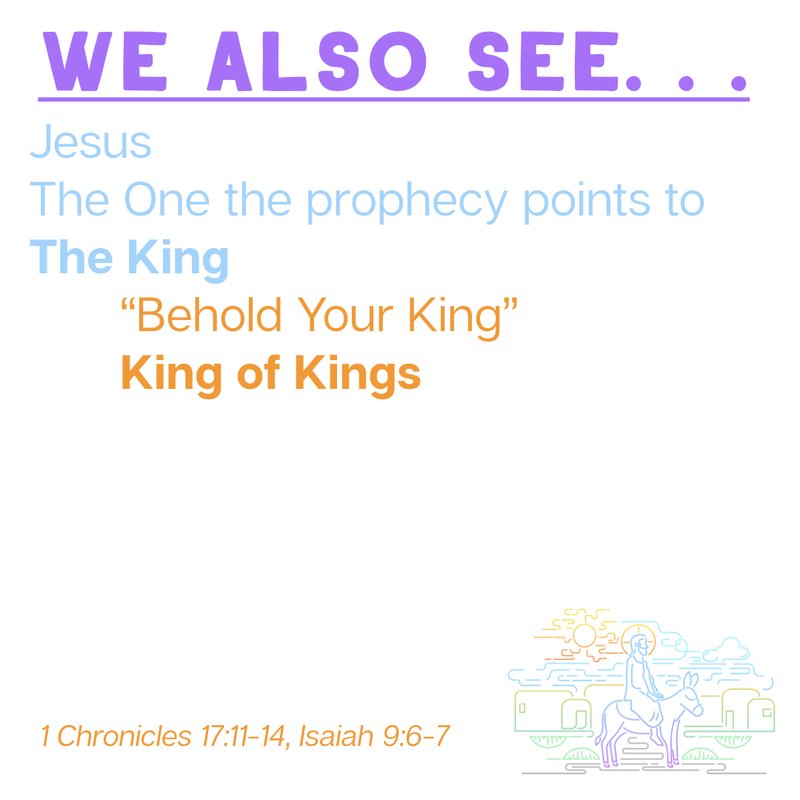 Jesus is the King of Kings and the Savior of the World. 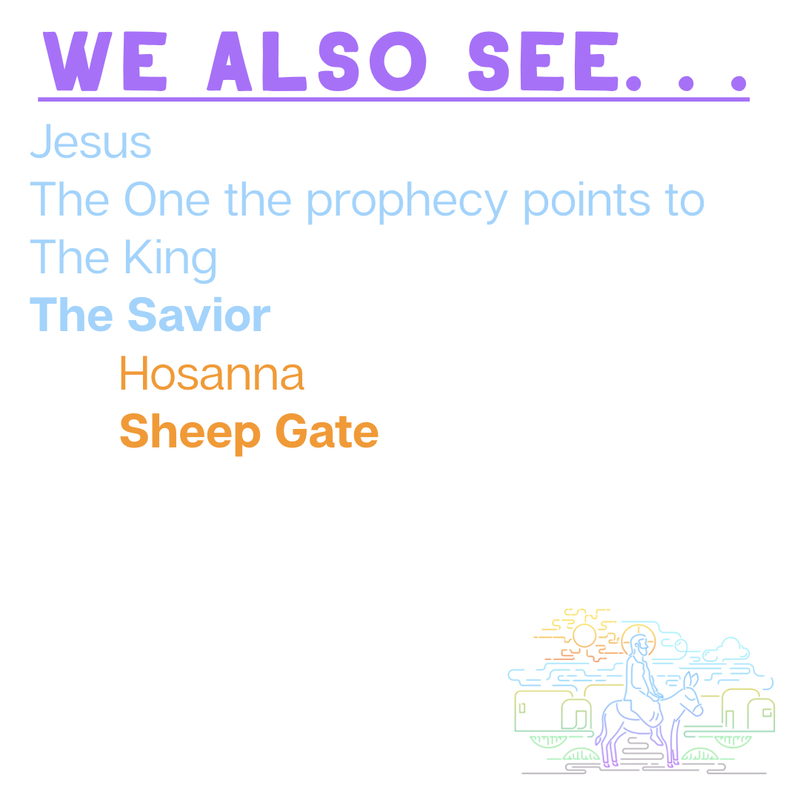 What are some of the implications of these truths for you today? C.S. 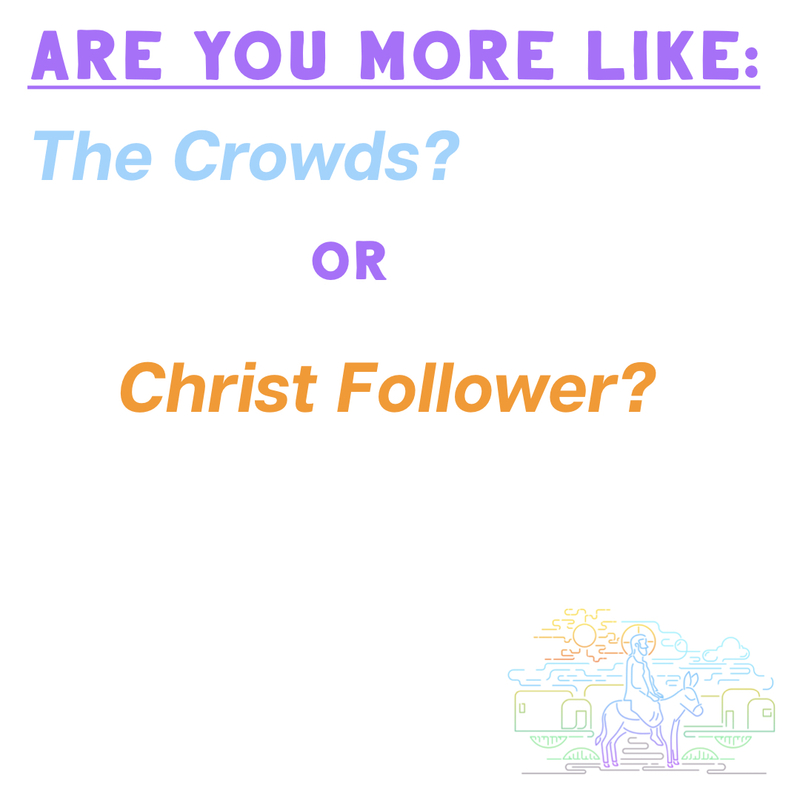 Lewis famously said that only 3 options exist for our assessment of who Jesus is. We can either say He is a lunatic, a liar, or Lord. 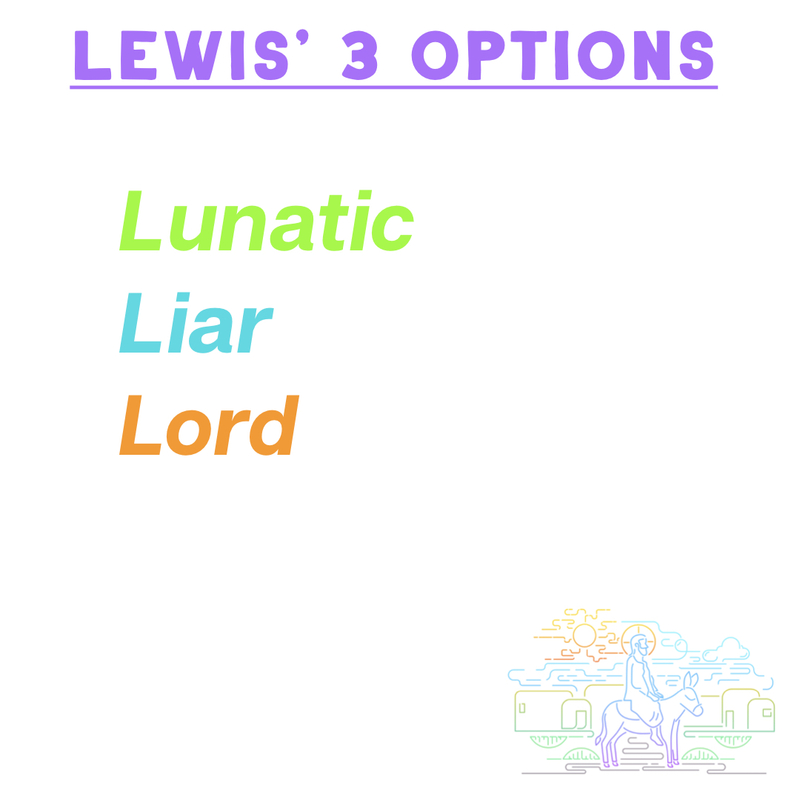 How would you answer Lewis’s “multiple choice” question? To access the testimony videos of those baptized, click here. To watch the live stream of the 9:45 service, click here. To watch the live stream of the 11:00 service, click here. On Sunday, April 7, 2019, we celebrated the baptisms of twenty-six people at Wildwood Community Church! Before these baptisms, I shared a brief reflection from Galatians 2:20-21. Below you will find a set of questions related to this message for personal reflection or group discussion. 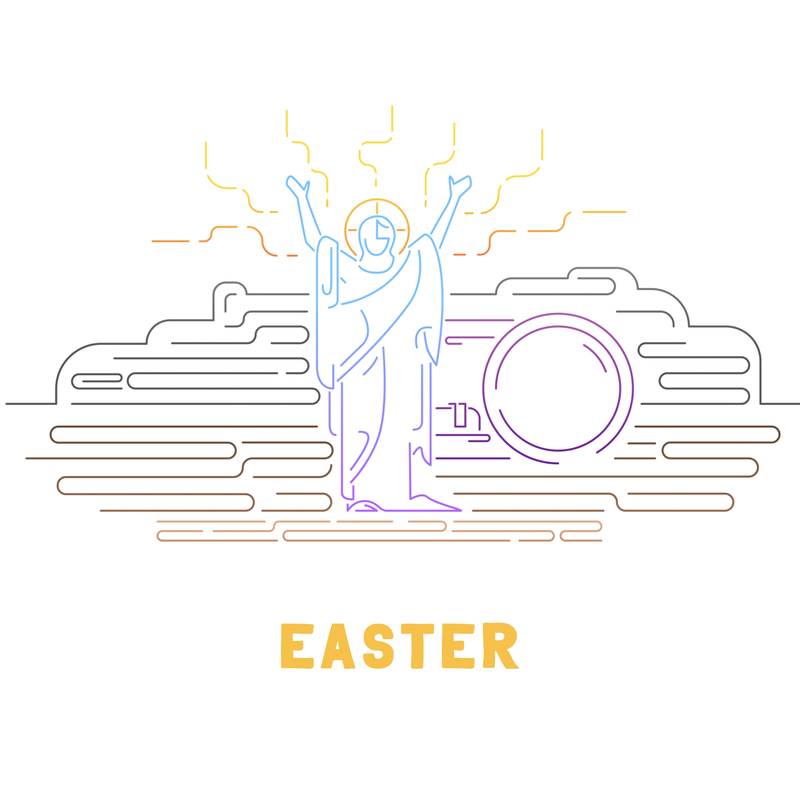 In Galatians 2:20-21, we are called to find our identity with Jesus Christ – His death and His resurrection life. What does it mean that we are “crucified with Christ”? What does it mean that “Christ lives in me”? Have you been baptized with water since trusting Jesus as your Savior? If not, why not? 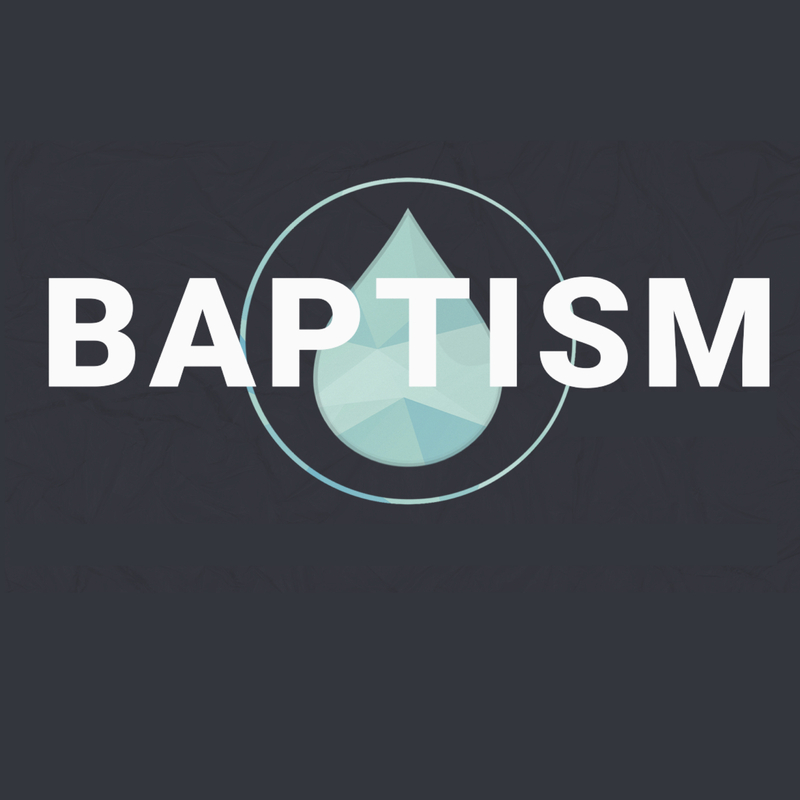 Wildwood’s next baptisms services are August 4. Let us know if you would like to be baptized then! 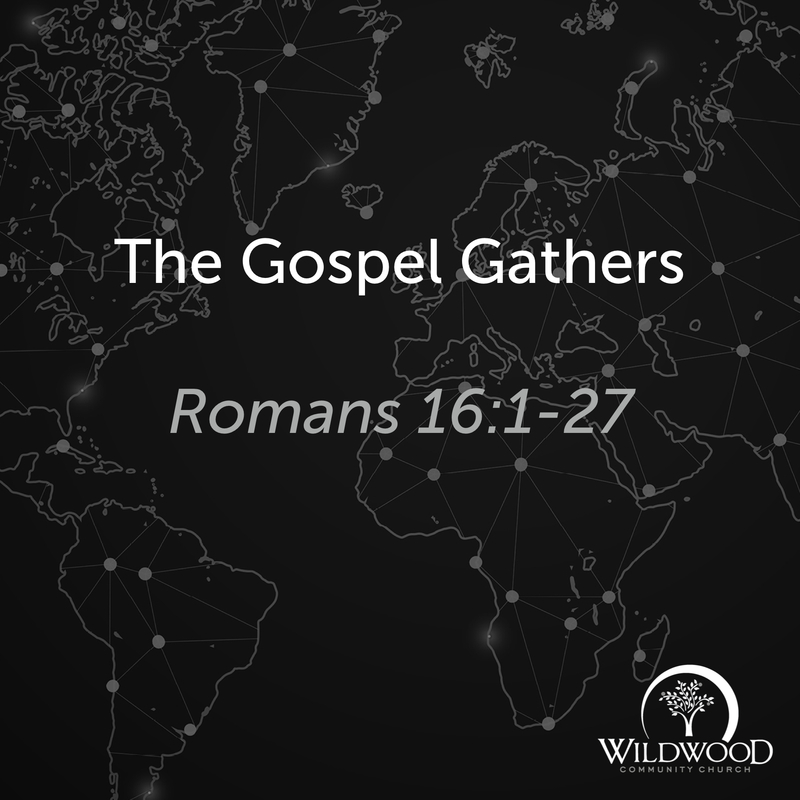 On Sunday, March 10, 2019 at Wildwood Community Church, I preached a sermon based on the book of Romans entitled “For the Nations (part 2).” This message encouraged Wildwood regarding our partnership with a church plant in Brazil in partnership with Compassion International. To listen to this message or share it with others, use the audio below. 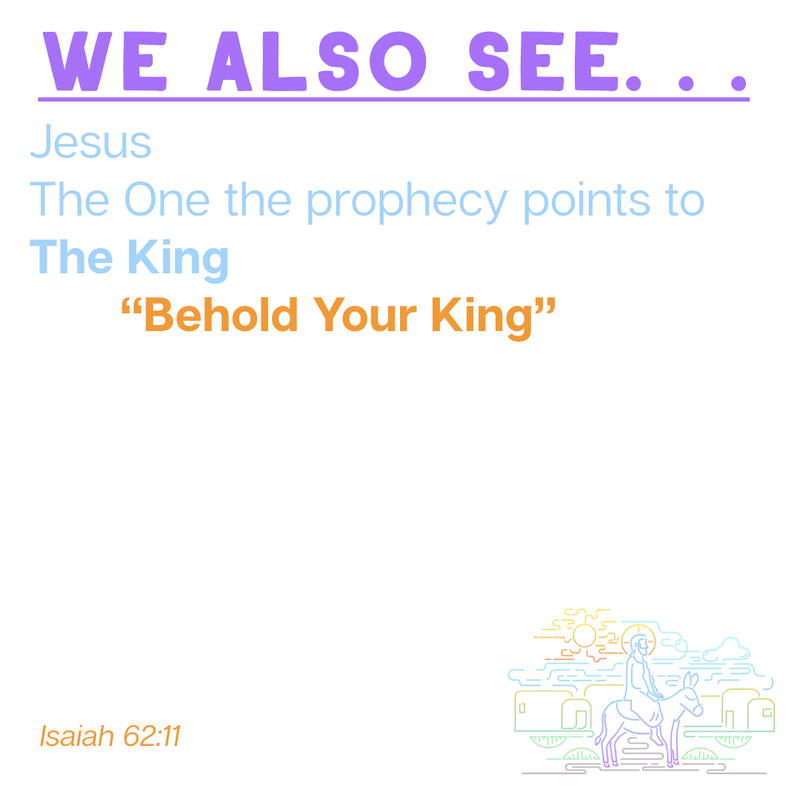 On Sunday, March 10, 2019 at Wildwood Community Church, I preached a message based on Isaiah 49:6; Romans 1:8-12; 15:20-21; and 16:1-27. This message was the second part of the “For the Nations” series and highlighted the church plant partnership with Compassion in Lagoa de Sao Francisco, Brazil. Below are a set of questions related to the message for personal reflection or group discussion. Jesus is worthy of the worship and adoration of all people. 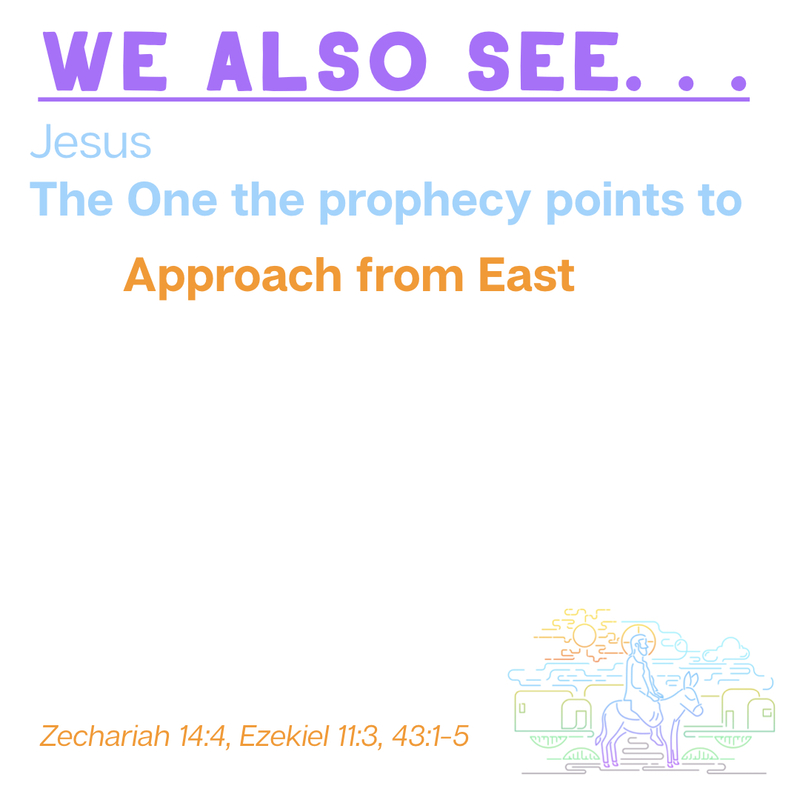 Is this concept motivational for you in seeing the Good News of Jesus spread to the ends of the earth? Have you ever been on a mission trip before? 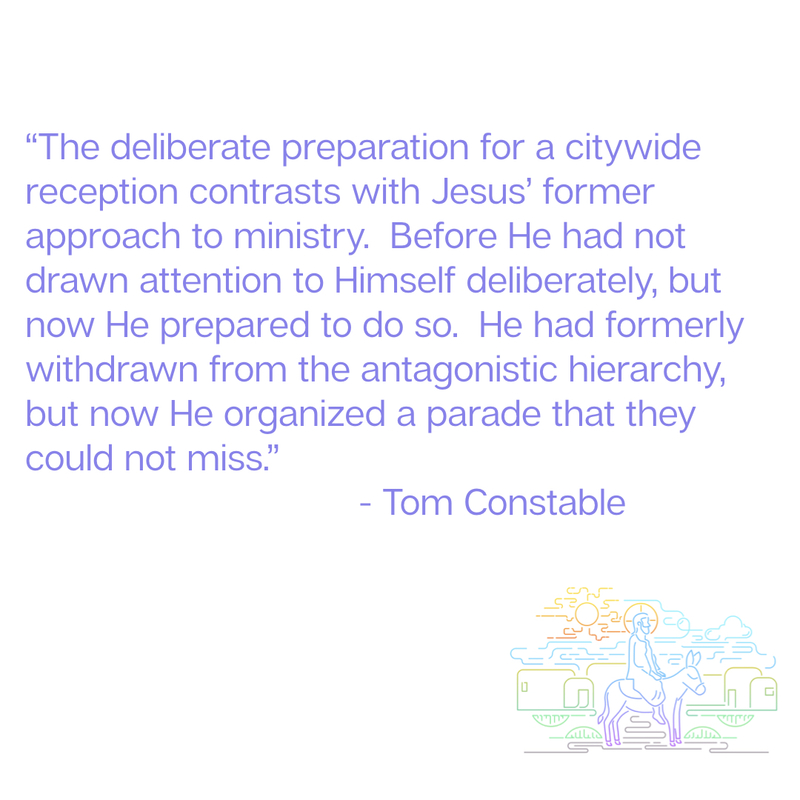 In what way were you encouraged by the faith of those who knew Jesus in the area where you went to serve? To the best of your understanding, where are some places in the world today where the Gospel still needs to go? In order to accomplish His mission, Jesus gathers believers together and invites them to join in His mission to take the Gospel to the lost. In what ways do you sense the Lord inviting you into this adventure? Have you personally considered beginning to sponsor one of the children in the Compassion Center associated with our new church plant in Brazil? 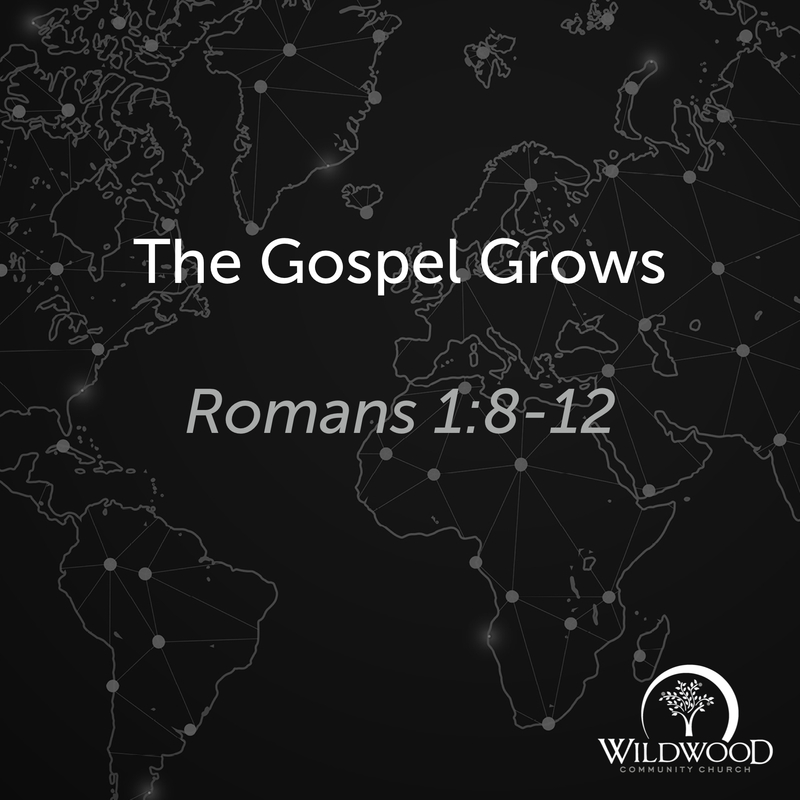 Wildwood Community Church is for following Jesus together to the glory of God. We are for the church, community, nations, and next generation following Jesus with us! As we live out this mission as a church, we are always looking for ways to reach out in line with this vision. One way we are living this vision out as a congregation is through helping plant a church in Lagoa de Sao Francisco, Brazil in concert with a fantastic set of church planters (& their team), two other Brazilian churches, and Compassion International. Wildwood funded the construction of the building where the church and Compassion Center meet, and in January I had the opportunity to visit this church on the weekend they dedicated the facility. What a blessing! On the weekend of March 8-11 at Wildwood, we are celebrating God’s work through the church in Lagoa de Sao Francisco, but also presenting the opportunity for Wildwood members to sponsor children in the Compassion center in Lagoa de Sao Francisco. All weekend long, people can tour the Compassion Experience (an interactive walkthrough showing the life of a Compassion child) on site at Wildwood. Also, on Sunday, March 10, I will be presenting the vision and opportunity through this church plant in our Sunday worship services (9:45 and 11:00). 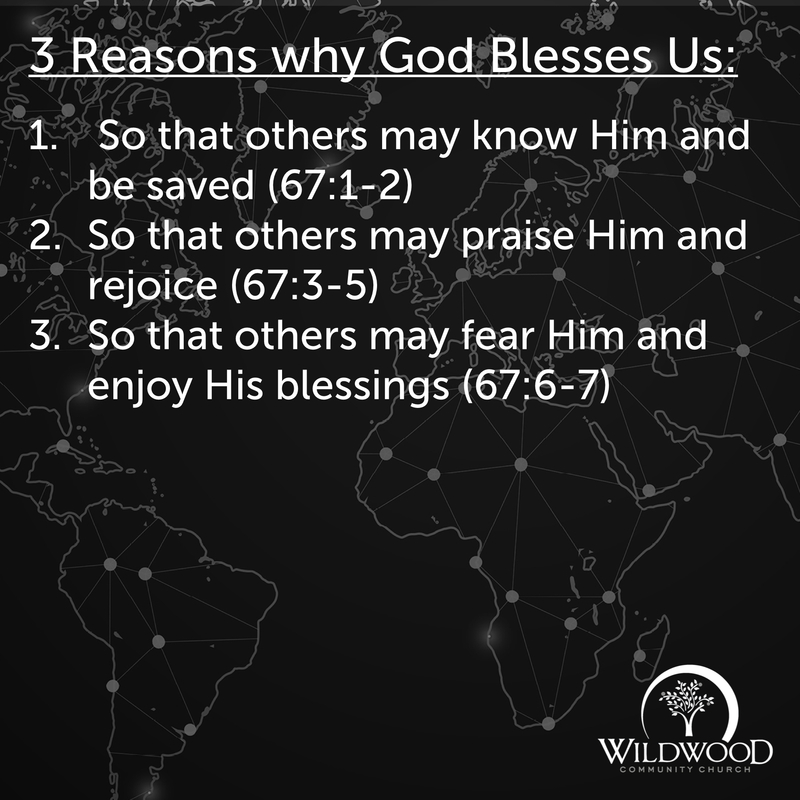 On Sunday, March 3, 2019 at Wildwood Community Church, David Robles (Pastor and Seminary President from Leon, Spain) preached a message from Psalm 67. 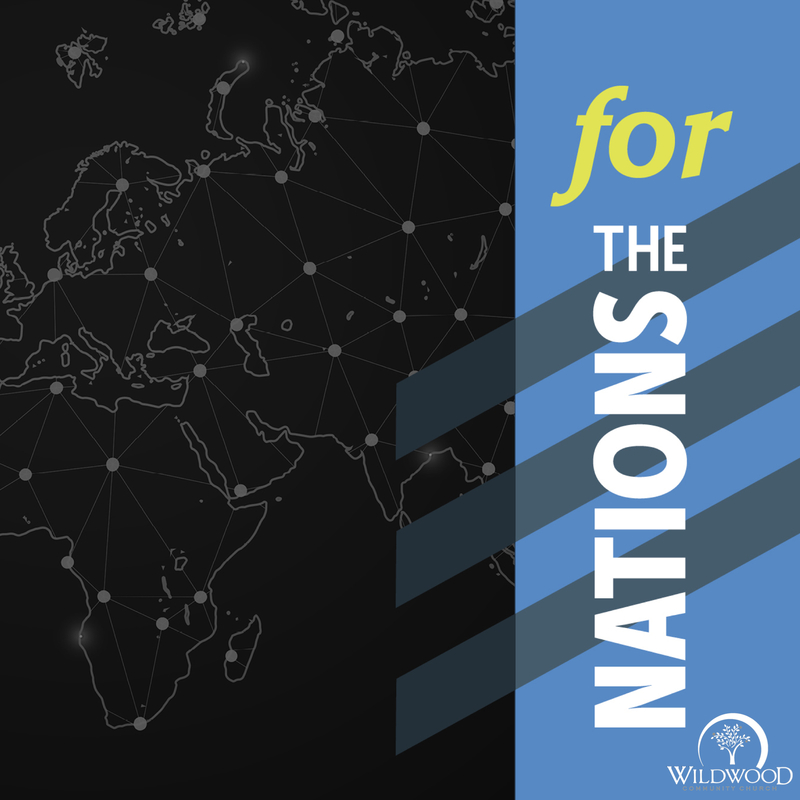 This message was part 1 of the “For the Nations” series here at Wildwood. Below you will find the sermon audio from this message to listen to or share.